Today is my birthday, and it's the second one I've celebrated since starting this blog! However, instead of making cookies, cake, or b-day tartlets, I've decided to do something a little bit different. As I inch even closer to the ripe old age of 30 (yikes! ), I thought it might be useful to share a few of the things that I've been doing to stay healthy with each passing year. 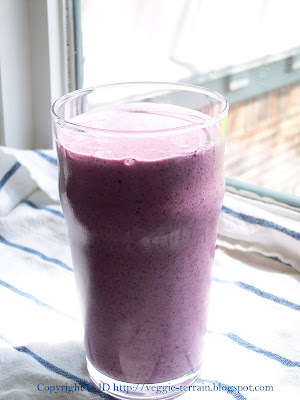 First: I try to eat breakfast every day (although it's a constant battle). I used to be really good about grabbing a cup of tea, some fruit, and a granola bar whenever I was headed out in the morning, but now that I'm job hunting, it's a little more difficult. Since I often get completely engrossed in whatever I'm doing, I easily lose track of time (and my hunger), and forget about breakfast altogether. Thus, I've been making it a priority to eat within the first hour of waking up. 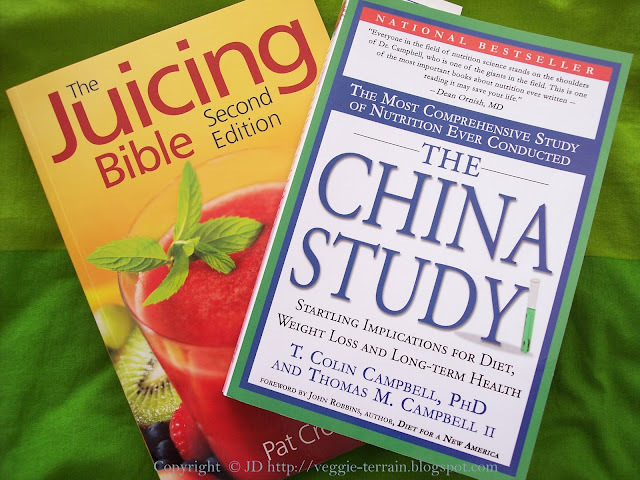 Two of my most recent acquisitions: "The Juicing Bible," and "The China Study." Third: My beverage of choice is water. I haven't had soda in years, and the only things that I drink besides water are coffee, tea, and 100% fruit/veggie juices (although I do enjoy the occasional glass of wine/pint of beer, too.) In fact, it's rare for me to have more than two "non-water" drinks (as I like to call them) per day, and tea is always one of them. 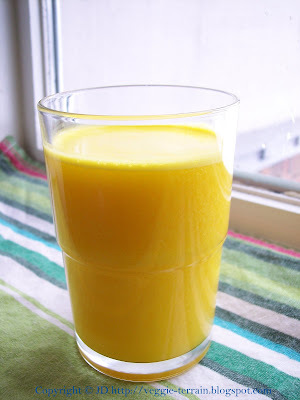 When I do want something else, I'll go out for a flavored soy latte, or stay in and have a smoothie or a home-made glass of juice. 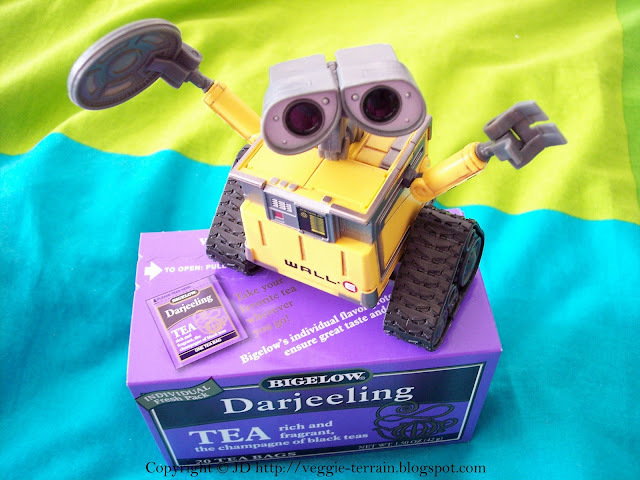 That's Wall-e, waving hello from his giant box of tea. Fourth: I let passion be my guide. There are few things that I enjoy more than going to concerts and attending political speeches. That kind of stuff fills my soul in a way that almost nothing else can! 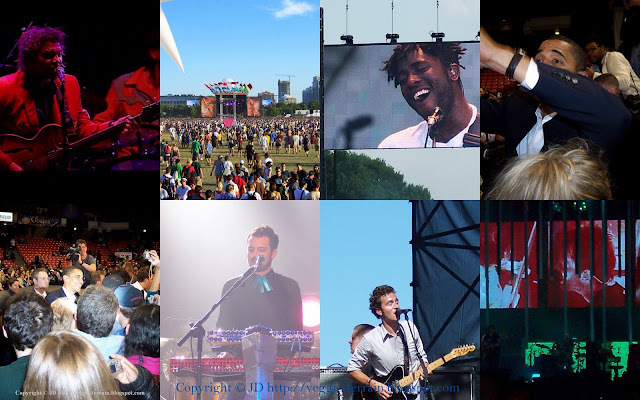 I've been to almost 100 concerts, and have even been lucky enough to meet several of my favorite musicians. And, as far as politics is concerned, I nearly died from excitement during this past election season! Like most of you, I spent it voraciously reading tons of papers, watching hours of debates/interviews, and having lively discussions with friends and family. I also attended a couple of Obama rallies (at which I got to shake Barack's hand - *swoon! *), and even volunteered with the campaign. Fifth: I focus on "alternative" health. Instead of just popping pills when I don't feel well, I try to use preventative methods to keep myself from feeling crappy in the first place. I've found that meditation is great for alleviating stress, and yoga is something that I've practiced on and off over the years for relaxation purposes. (My b-day gift to myself is to stick with it this year.) I also try to eat organic, local, and seasonal foods as much as possible. 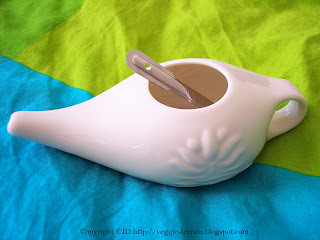 In addition, I use a Netti Pot to help prevent colds, headaches, and sinus infections - it works really well! Here's to many more happy and healthy birthdays - for me, and for you! Love the health goals - here's to a fabulous 2009 for ya!! okay too many things i like on this post and have affinity with! many many hugs and kisses! ps: i only drink water and sugarless soymilk. Happy birthday! 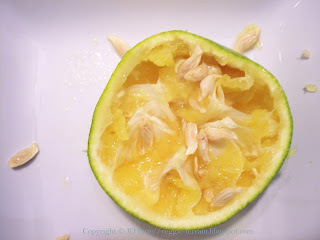 This is a wonderful post with many great ideas for staying healthy. You've made me even more determined to kick my soda habit! Maybe it would help if I had a cute little Wall-E sitting on my tea. Happy birthday! We seem to have many of the same philosophies on staying healthy. :) Here's to another 90 years of life (at least)! please tell me there was a b'day cake involved somewhere in your day! I'd cry, anyway hope your day was incredibly and outrageously awesome! Such great advice! I should listen to it. I really need to start eating breakfast and I miss reading terribly since having the kids! Happy Birthday :) I hope it was a great one! belated happy birthday jd! did you say 'ripe old age of 30 (yikes!)' ... the weather's more mature this side of 30! anyways loved to read about how you live your life. I should take a cue from there. Happy birthday! Darn it, I'm a few days late, but who says you can't keep pretending it's your b-day for the entire weekened? :) So have an amazing birthday weekend! I love the tips! My body hates me if I don't eat breakfast within an hour of waking, so I never never skip, and yay for being a fellow non-pill-popper! What a great post! I love the tips and follow alot of those myself... although I think I could really use some meditation, especially as lawschool heats up. Good luck on the job hunt and HAPPY BIRTHDAY! I love the little triad of wall-e and juices. Your "beverage of choice" paragraph is exactly what I would write! happy happy happy (belated) birthday! How inspirational. May this year be filled with as much healthy food and joy of living. happy birthday! My birthday was a day later (the 9th) Yay capricorns! 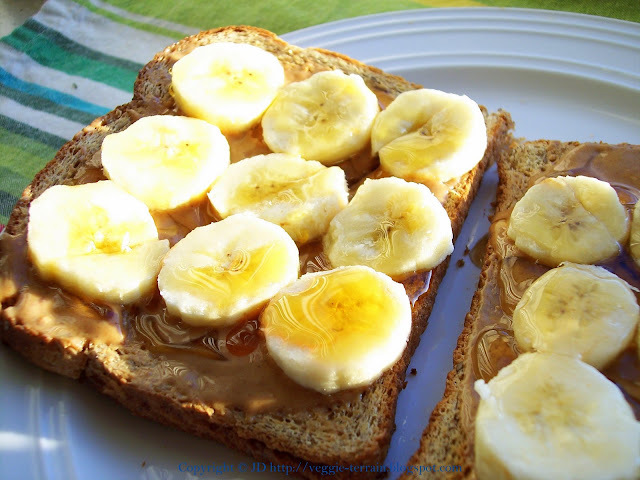 OMG your breakfast with the agave nectar looks wonderful! I definitely need to get some of that after seeing it here! So the Neti Pot works for you eh? I can't get myself to pour water in my nose. Hey, thanks for adding us as a friend on Foodbuzz. We welcome you to come visit our site! Happy belated birthday!! That is a great list of goals... Since I am in the last year of my 20's I'm doing lots of similar things to try and be healthier. Reading is one thing I need to do more of. That sarnie looks like the business, great photo! hi jd! happy super-belated birthday :) it sounds like you are on your way to a fantastic year!